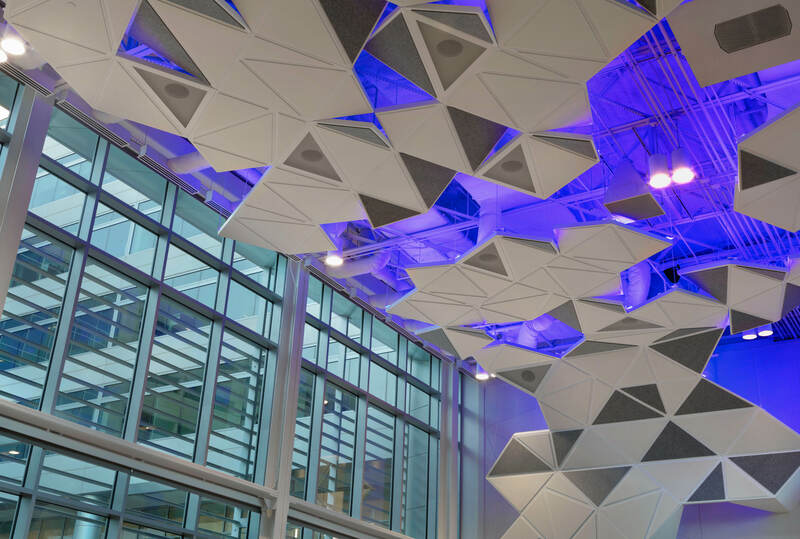 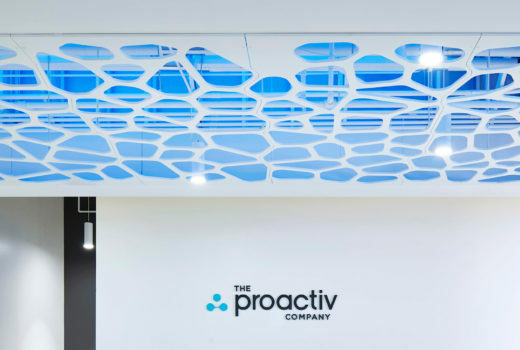 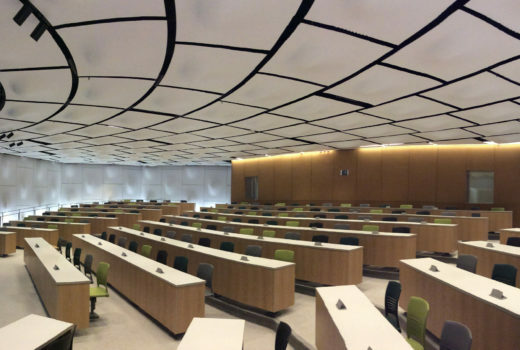 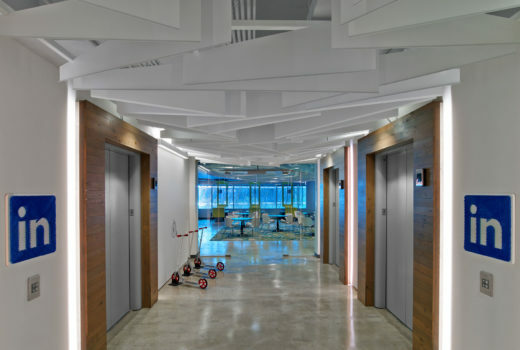 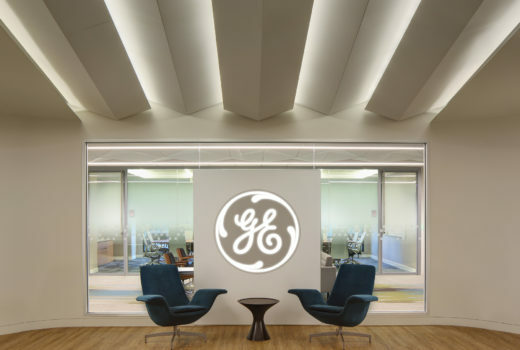 The Town Hall custom ceiling system was designed to elegantly address the acoustics of a multi-use space at the heart of a corporate campus. 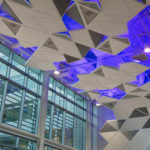 With the Solutions Studio acting as design consultants, Arktura stepped in to fabricate and deliver the finished product. 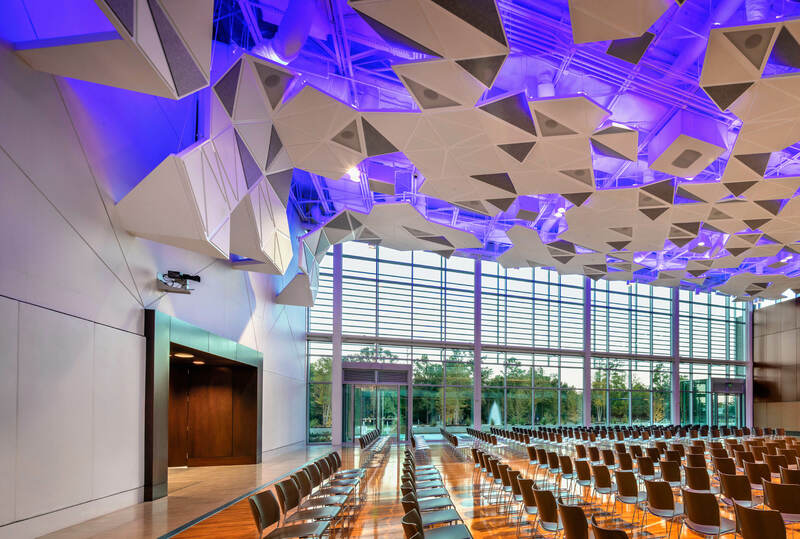 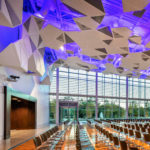 The faceted panels, made of Arktura’s SoftSound™ material with structural steel backing, were designed with reference to shifting and fragmented planes of earth. 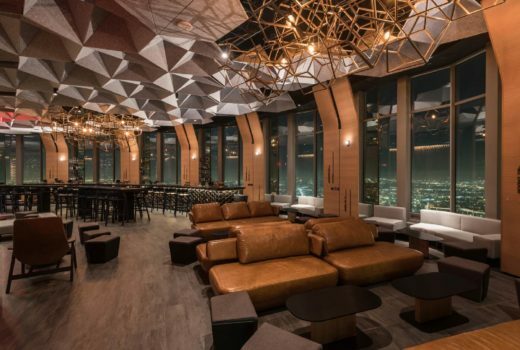 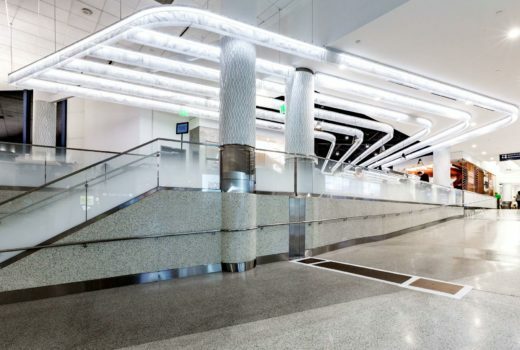 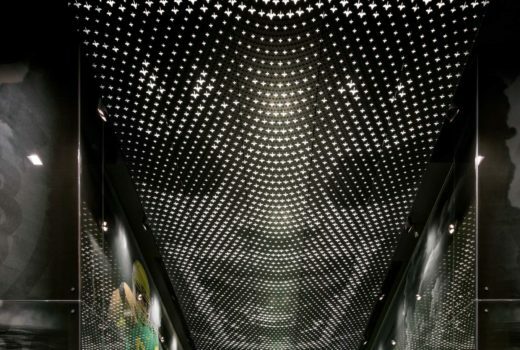 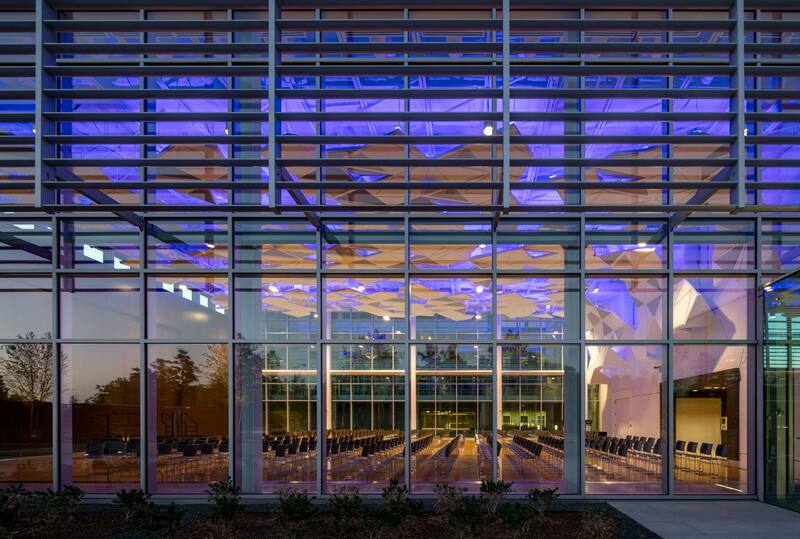 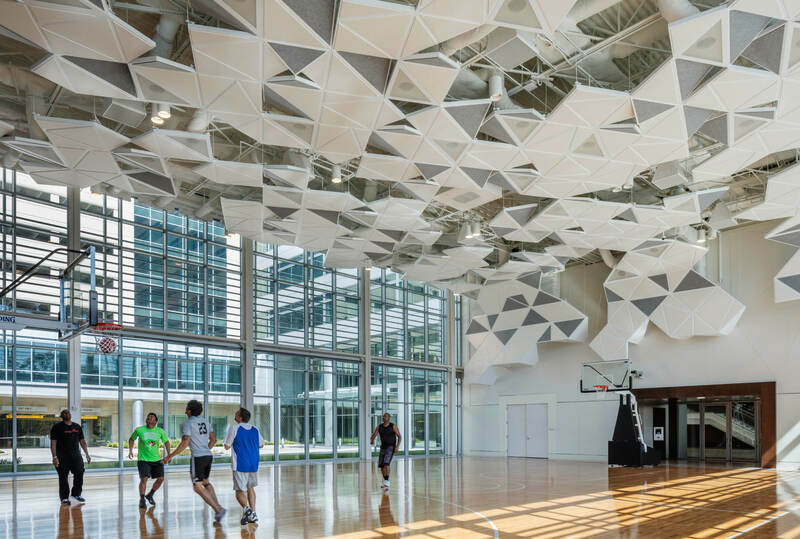 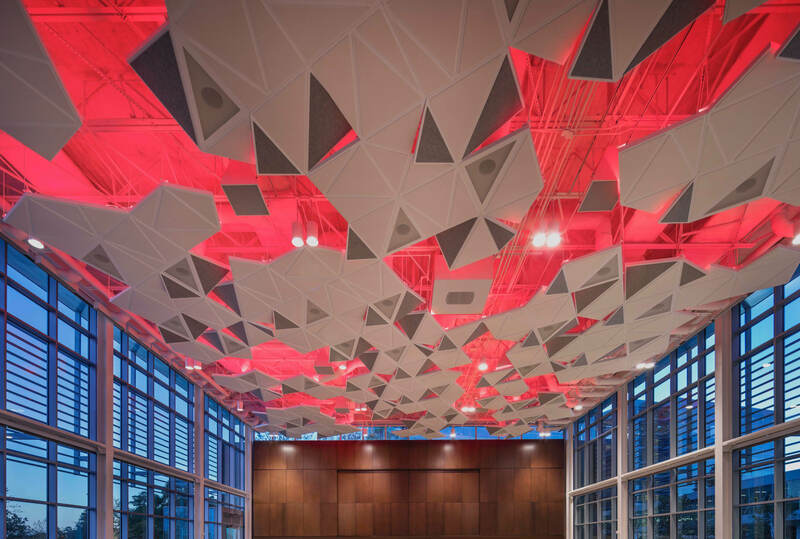 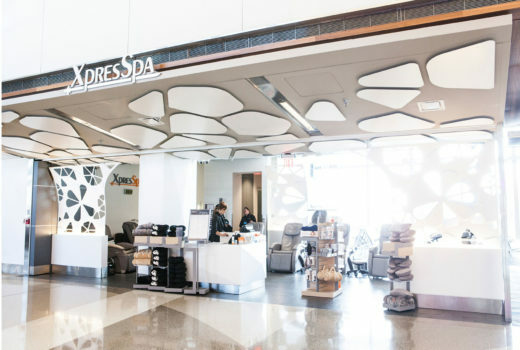 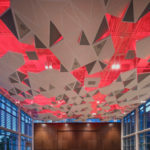 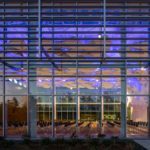 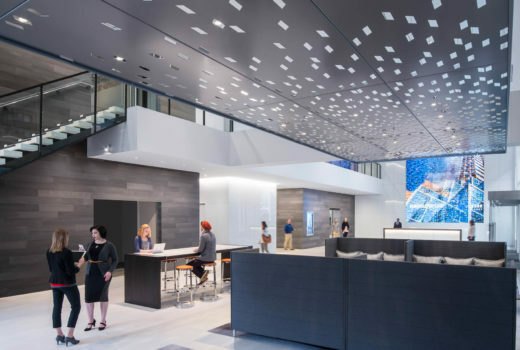 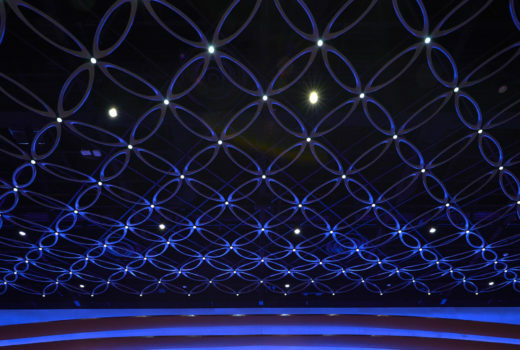 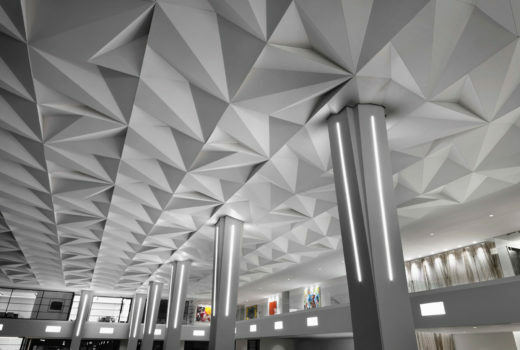 Each acts to either reflect or absorb the many acoustical conditions of the space, and the installation integrates overhead airflow filters, lighting and sprinklers.